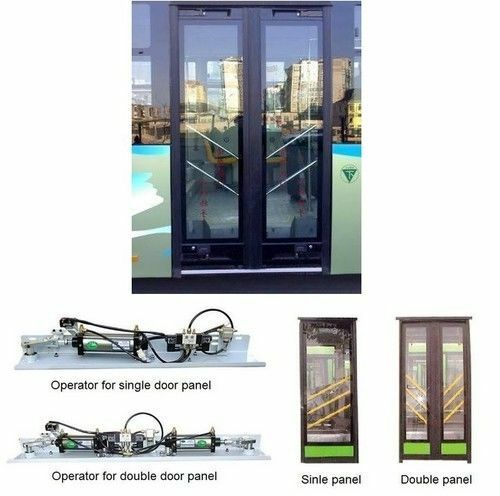 Application: mainly used as the transit bus entrance and exit doors. 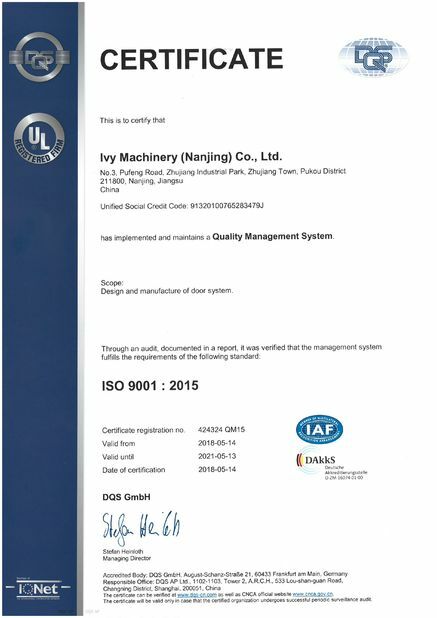 1) The base-plate assembly (the most important component) is the actuator of the power door system, which consists of pneumatic cylinder, solenoid valve, shaft stud, and controls. 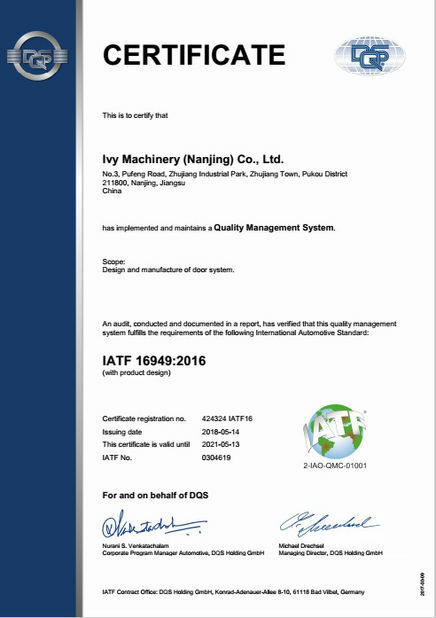 3) The door panel is made of aluminum alloy, which has the attributes of light weight, high strength and long life. 1) Auto operation :When “open” or “close” switch is pushed, the solenoid valve will be actuated, which actuate the double acting pneumatic cylinder. The liner motion of cylinder transfers to door shaft rotation through shaft swing arm on the baseplate. With guide roller which is mounted on the top of door panel moving along the roller channel, the door panel rotates inward or outward to open or close.